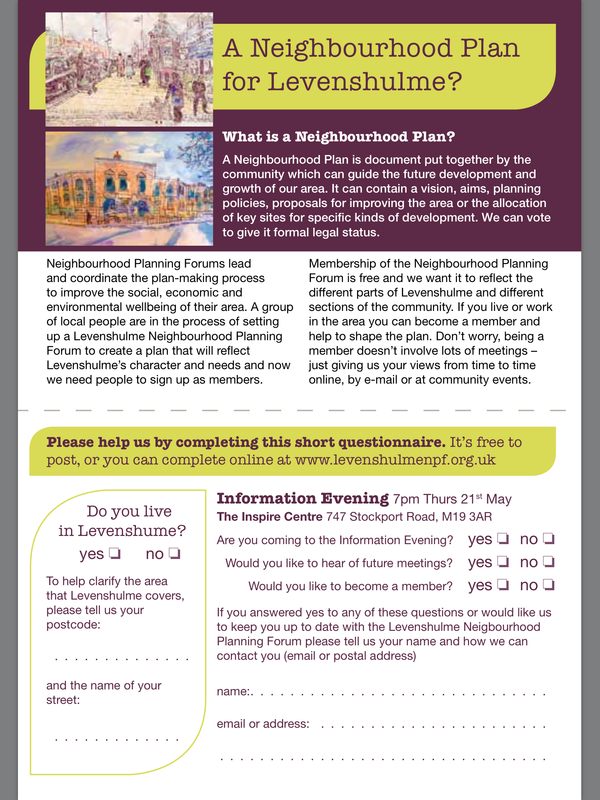 The Friends of Levenshulme Station Annual General Meeting will take place at 18.30 on Wednesday 20th May 2015 at Levenshulme Library. 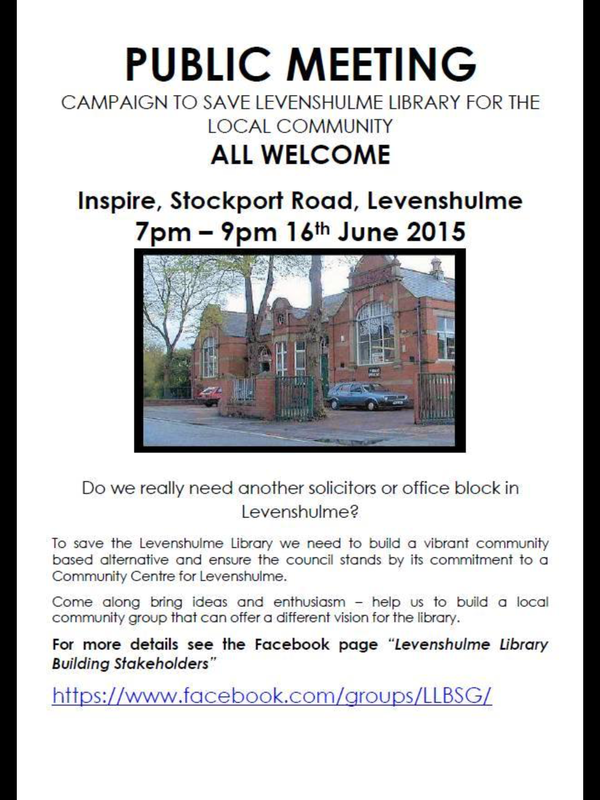 This isn’t Levenshulme specific but here’s a report from a conference earlier this year. With an ageing population and social and health care increasingly reliant on family support the issues confronting people who do not have children as they get older can be daunting. Grab your parents and head to Levy Market this Saturday 23rd May, 12.00-14.00 for a free, fun kids decorating and planting session. You’ll find our planting tent in the midst of the action, where we’ll be decorating plant pots and planting climbing beans for you to take home and look after. It’s the perfect way to start summer, with your very own climbing bean plant to grow – and it’ll give the grown-ups a quick 5 minutes to dash round the market. When your Levy beans start to grow, you can send us a pic – and the best ones might even make it onto our website! 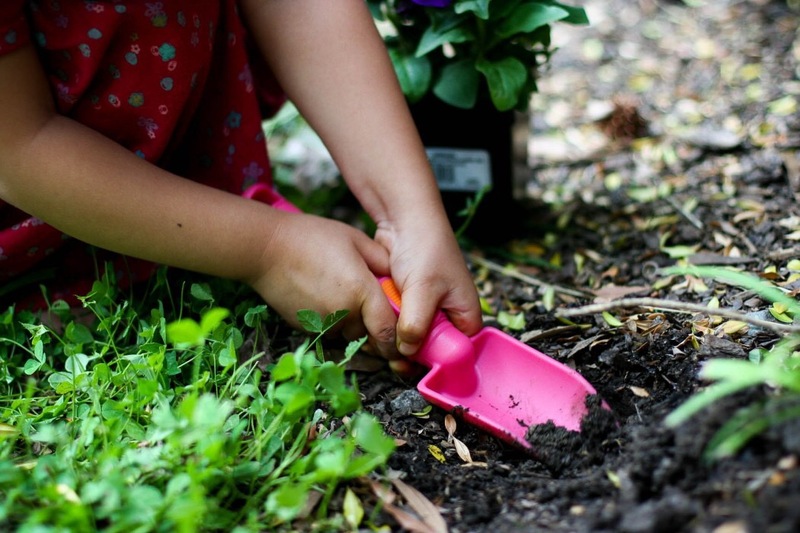 All equipment is provided – just bring your enthusiasm and those green fingers! The wonderful Levenshulme Food and Drink Festival is almost here. 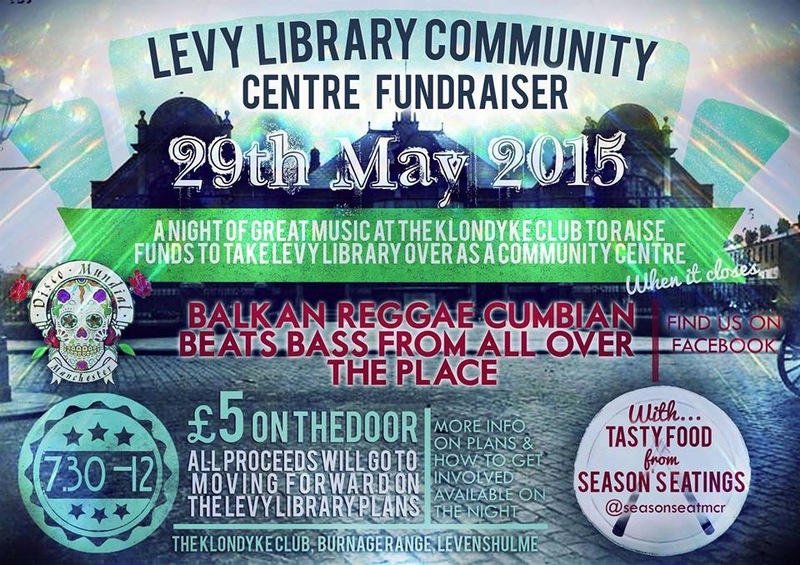 Running from 12th – 21st June and now in in third year Levy Fadfest is a highlight of the year. 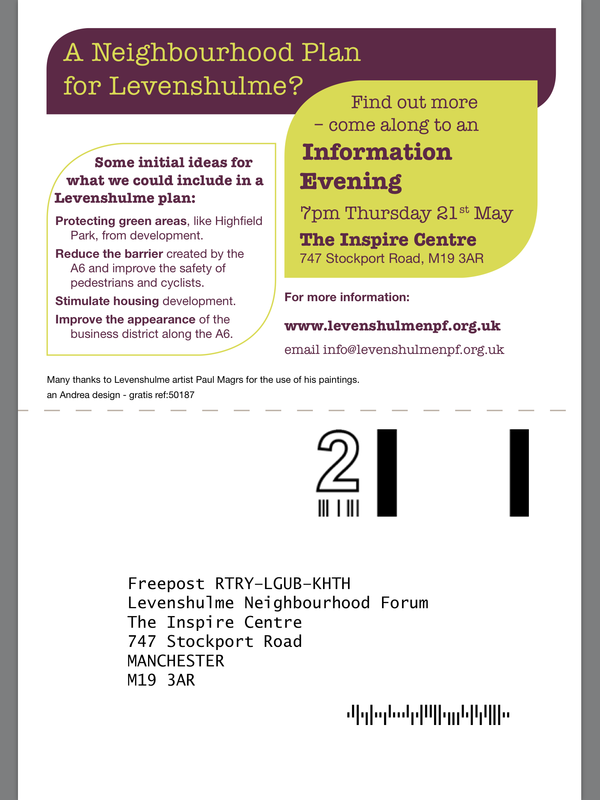 Organised by folk who love, live, work and revel in Levenshulme. Fadfest is a celebration of all things delicious and tasty from field to fork/glass! Local residents, businesses, organisations, groups come together to create an exciting programme of events held at different venues around the area. Focusing on local produce with international flavours – in 2015 we celebrate good food good health. 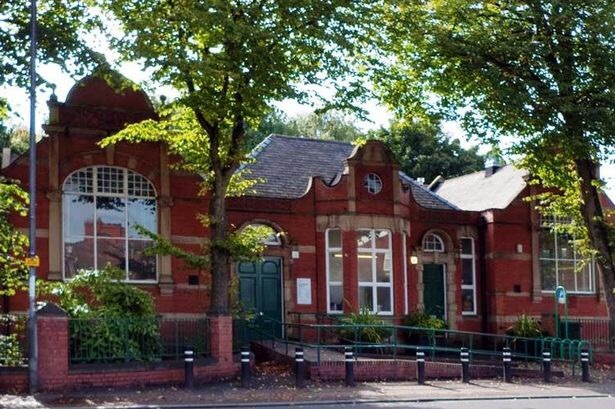 Don’t be put off by the headline – Time Out loves Levenshulme. The “gritty” bit in th headline is actually a reference to the grit and determination of Levenshulme residents. Becci Johnson has certainly got that bit right. 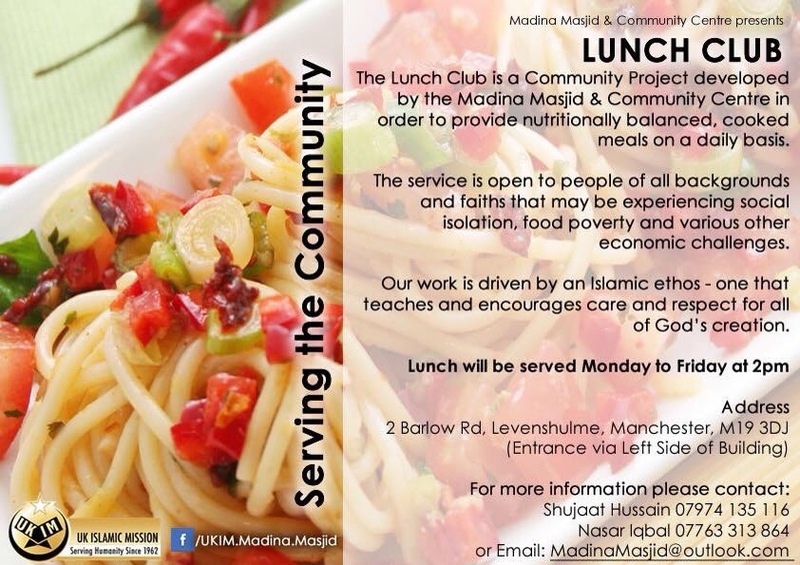 Great new initiative by Madina Masjid and Community Centre. Our community working together in tough times. The Lunch Club is open to anyone who might be experiencing social isolation, food poverty and other economic challenges. Nutritionally balanced cooked meals will be provided daily. People from all backgrounds and of any faith or none are welcome. The Lunch Club starts on Sunday 10th May 2015 at 14.00. Here are the results for the 2015 elections in Levenshulme. Local election results are given for both Levenshulme and Gorton South Wards as Levenshulme covers both wards. Levenshulme falls in the national parliamentary constituency of Manchester Gorton. Voting is only one day away now. You can find out where to vote and see a map by entering your postcode HERE. 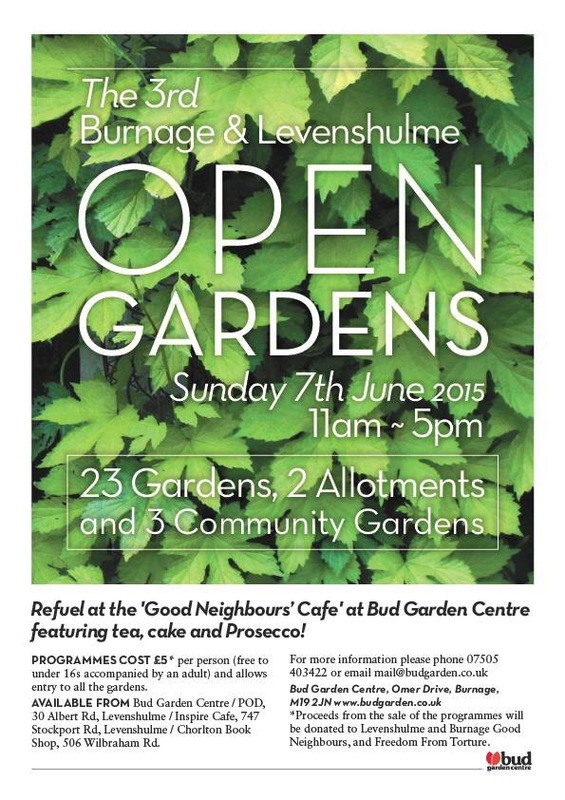 The third Burnage and Levenshulme Open Gardens day will be on Sunday 7th June, 11.00-17.00. Multiple opportunities for lovely gardening fun. Programmes are £5 (free for under 16s accompanied by an adult) available from Bud Garden Centre, Inspire Cafe, Chorlton Bookshop.